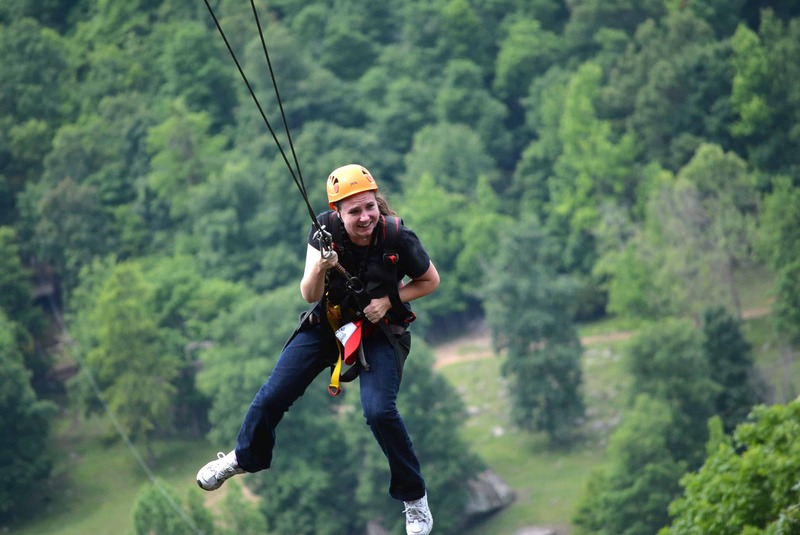 Disclaimer: Expenses were covered by Horseshoe Canyon Ranch in Arkansas & the Dude Ranchers’ Association! All opinions are my own. I was asked to promote the ranch but was not compensated for my opinion. 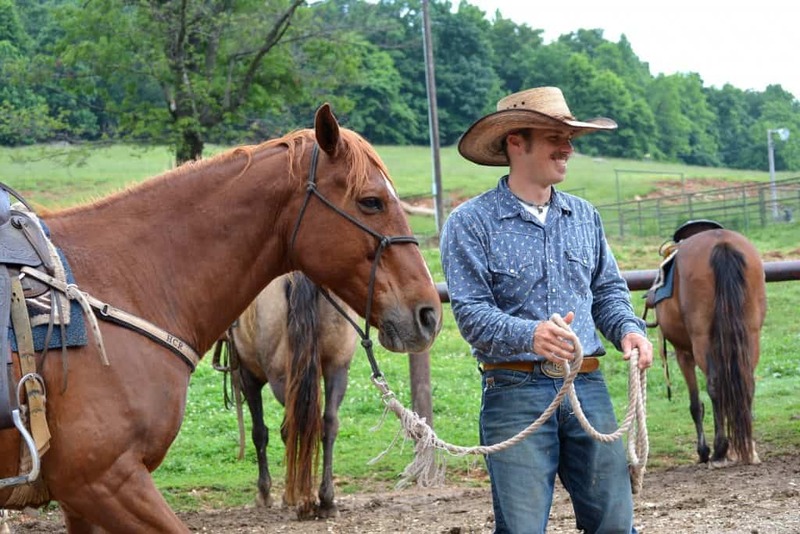 If you have ever thought about traveling to a Dude Ranch for a unique vacation then visiting Horseshoe Canyon Ranch in Arkansas might be a great family vacation to disconnect with technology and to connect with nature. 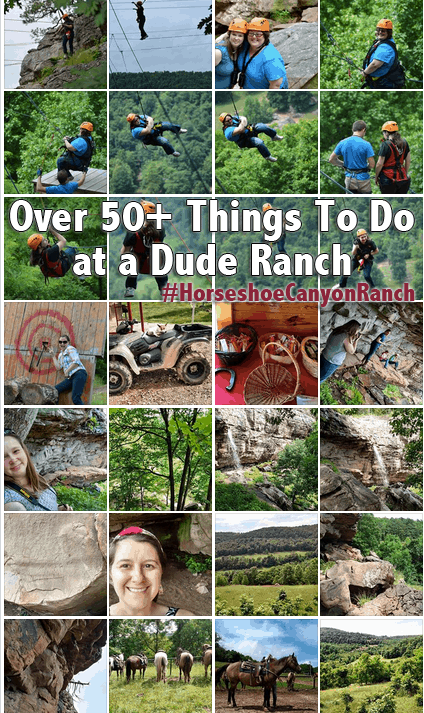 There are lots of thing to do at a dude ranch and especially at Horseshoe Canyon Ranch! 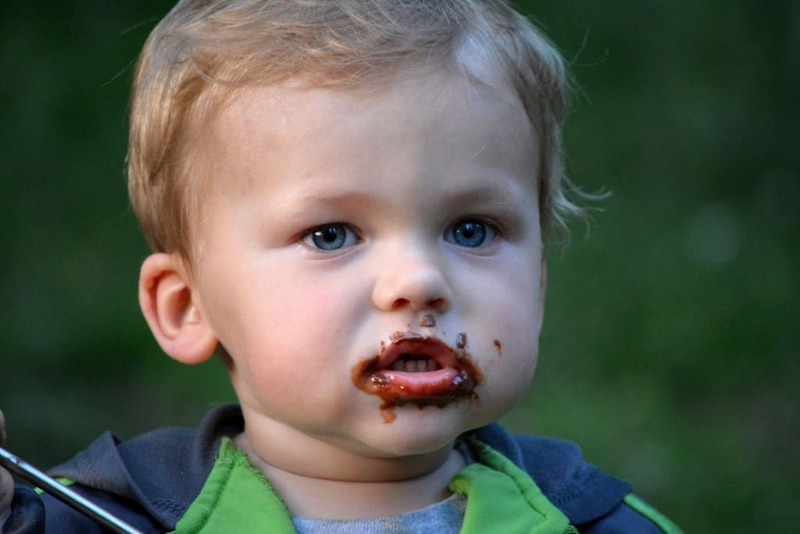 These activities will keep you and your family having fun the entire time! 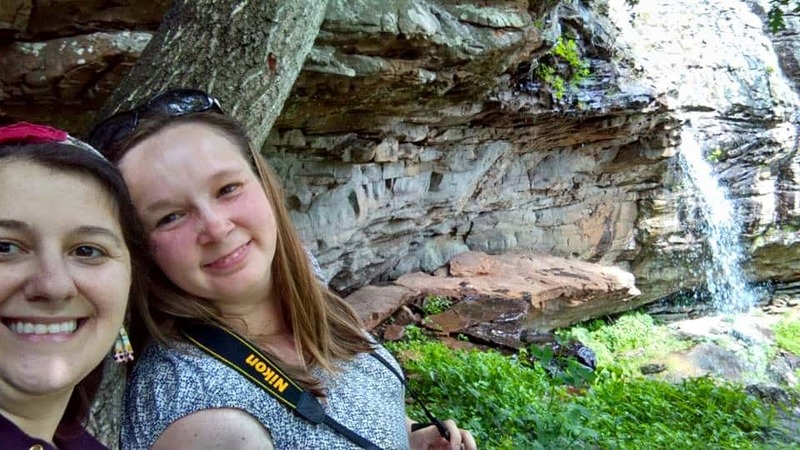 During my trip visit to the Horseshoe Canyon Ranch I found that connecting with nature was relaxing and therapeutic. The view is amazing and relaxing and sitting on the porch enjoying the sounds of nature, horseback riding, and stepping out of my comfort zone during their adventure courses. I spent 4 nights here at Horseshoe Canyon Ranch and I was impressed with the amount of adventure that I was able to experience! I put on my cowboy boots, and I went and explored everything that they had to offer! I know that the second I walked on the ranch I was going to feel a lot of discomfort. I am use to city living and I definitely stuck out like a sore thumb. By the end of my stay, I was having a blast! There are so many activities that every single person would find something that they would love to do. I experienced kids making friends and splashing around in the mud while the great group of wranglers and adventure guides kept them busy! I witnessed parents feeling relaxed as they were able to go on their on morning rides, enjoy delicious food, and not have too cook or clean one meal! I learned that the cook was an actual chef who studied at Le’ Cordon Bleu! Swing from trees tons of feet above the ground! Screamer- FREE Fall mountain drop! Animal Watch: You can search for goats, turtles, bats, horses, pigs, coyotes, and more! There were even rumors of nearby Bears! Mice hunting – We might have had a friend get into our M&M’s BUT there were barely ANY mosquitos and spiders which was a plus!! EAT and oh boy can you eat! These are just some of the activities that I found entertaining! Your kids will always find something to do. Even one of the locals mentioned that their kids’ hadn’t asked for their iPads once. By the end of the day you will be so exhausted, plus the beds are super comfortable, their towels are so soft, and even their toilet paper isn’t “the scratchy kind”! The activities are all definitely worth it! Be sure to plan your visit today! Be ready to kick up your feet and enjoy the beautiful view! LOVE this list! It is an incredible place with so much to do! What a great list! I would love to visit a dude ranch some day. I think it’s amazing and hope to someday be able do all these things on this list! That’s such a cool list! I honestly thought it was all horse riding and cows. How stinking fun is this!! I would love to go to a dude ranch sometime! Wow, that’s a long list of fun things to do there! I’ve never been to a dude ranch, but it definitely sounds like a great time for the whole family! What a fun ranch! I don’t know why it has dude in the name, but I know I’d have a blast there too. A dude ranch sounds like so much fun! I would love to go and check one out. I bet my kids would have a great time. 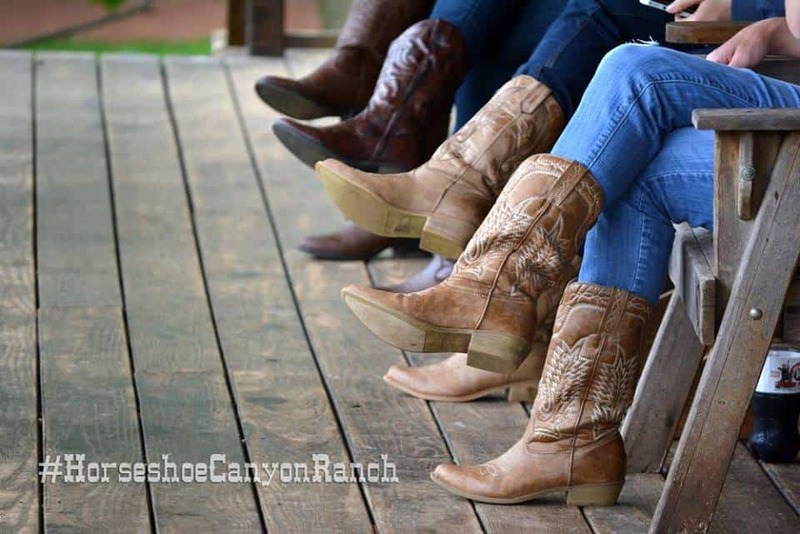 Even though I’m not much of an outdoor kind of girl, I’d love to visit a dude ranch. There are so many great things to do that I know I’d find something fun to do! Wow! That is a really great list. That would be my type of place to take the family and stay busy the whole time. Great place! Oh man, that day looks beyond fun. I’d love to go there for a visit with the fam. Wow, that Dude Ranch looks like a ton of fun. I’ve never been to one – looks like camping comes close but this is way more fun! Wish i lived closer! This sounds like an awesome adventure! I would love to try out all those activities – my husband and son would also really love visiting. I have never been to a dude ranch, but when I do go hammocking is at the top of my list. Swing from trees? I would pee my pants lol. Looks so much fun to look at others ldoing it though. This sounds like a very fun and adventurous place! 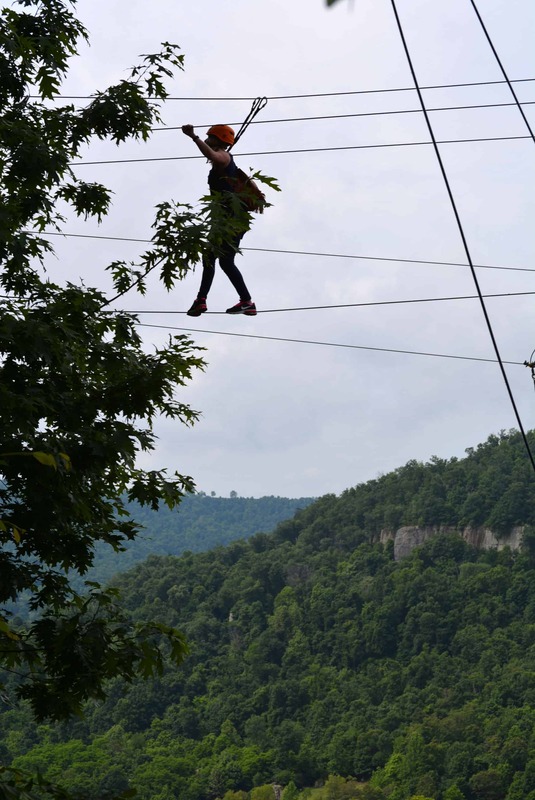 I would love to try zipling someday. Every time I hear the words ‘Dude Ranch’ – I smile. It just sounds like something fun, to me. Looks like you did a ton of things. I would like to spend time with the horses and do a little hiking. I can also see my sweetie and I competing to see who can hit the target with a tomahawk first. 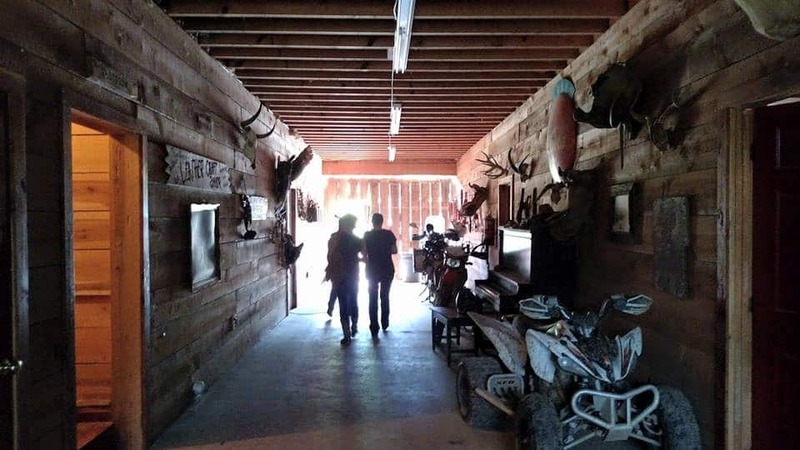 I have always wanted to go to a ranch like this. 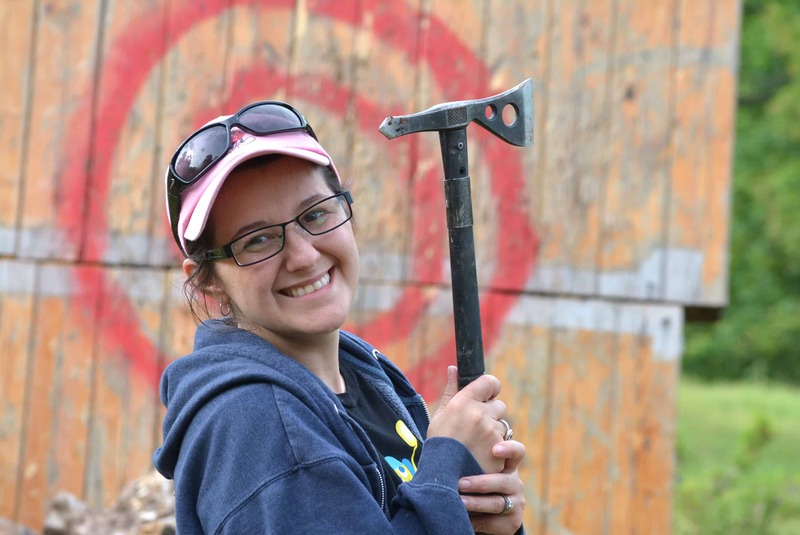 I would love to try archery or rock climbing for the summer! This was one of my favorite vacations as a child. Growing up in the city, a dude ranch was a fascinating place for me. That’s some pretty serious adventure. Looks like you guys had a blast. These are great pictures. It looks like you had a lot of fun.